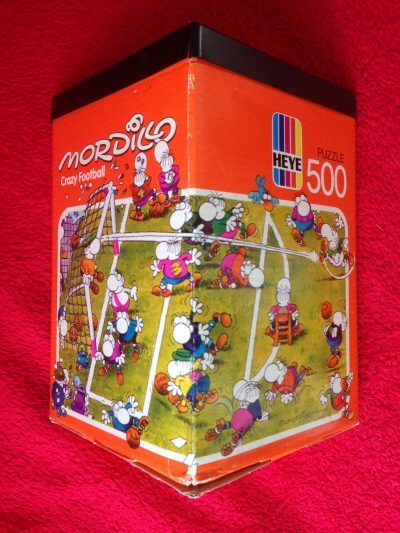 This is a nice puzzle that Heye manufactured in 2005. The title is Manhattan, by German cartoonist Michael Ryba. 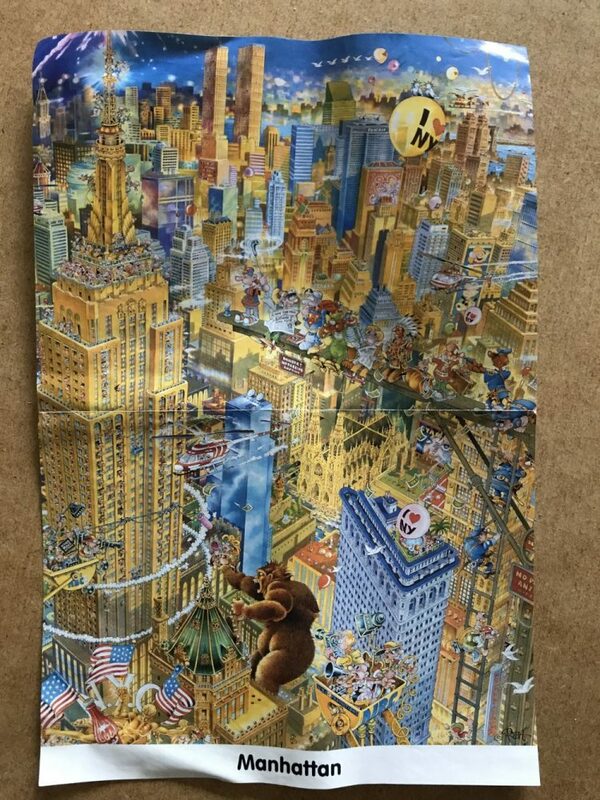 It shows a part of Ryba’s famous New York puzzle with 8000 pieces. 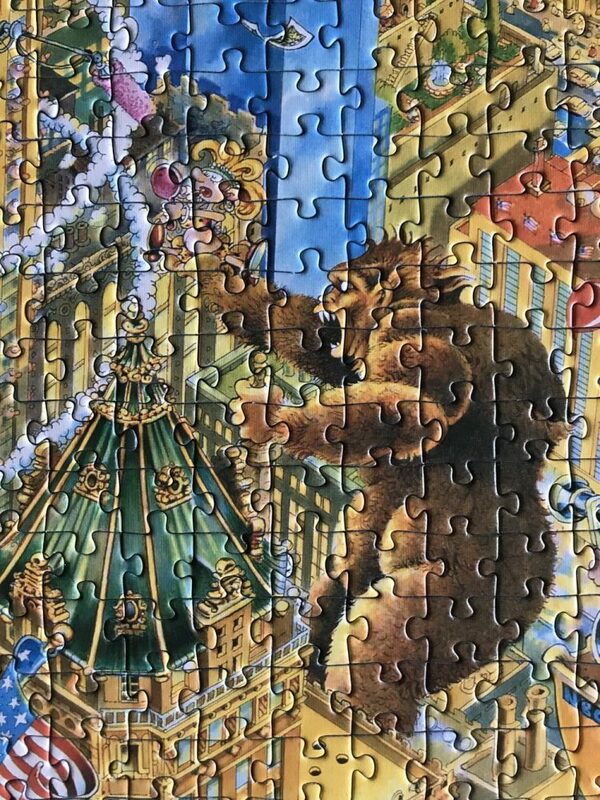 The puzzle is COMPLETE, as you can see in the photograph with the puzzle assembled. The pieces are in excellent condition. The box is in good condition, with some shelf wear and a small bump. Please see pictures. The poster has some wrinkles. Puzzle size: 48 x 68 cm, 18 7/8 x 26 3/4 in.